Tue., Aug. 14, 2018, 3:28 p.m.
“Crazy Rich Asians” is a crazy big deal. It’s the first big Hollywood studio movie set in the present day featuring an all-Asian cast in 25 years, so there’s a lot riding on Jon M. Chu’s romantic comedy, an adaptation of Kevin Kwan’s novel. The movie is already a success in terms of Asian representation in Hollywood, which is sorely lacking (in 2017, only 4.8 percent of top grossing movies featured an Asian character in a speaking role), and the resurrection of the rom-com. Thankfully, it more than delivers on the entertainment front too. 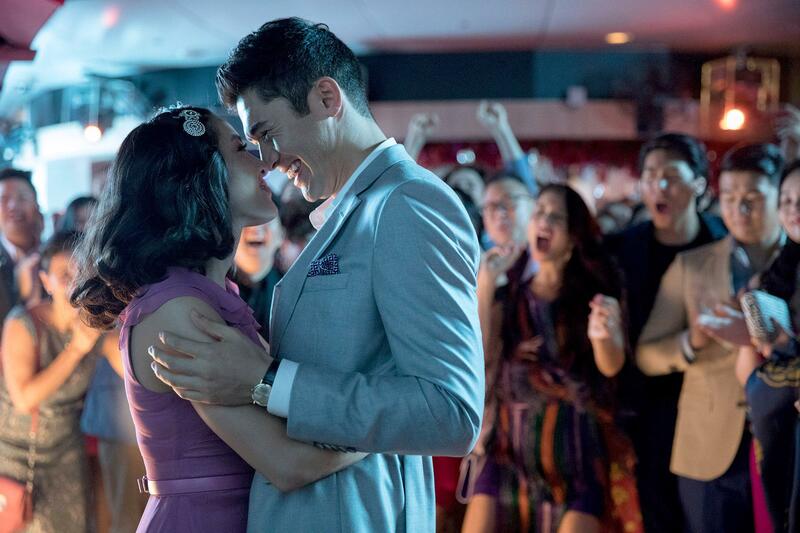 With a screenplay by Adele Lim and Peter Chiarelli that makes personal empowerment as important as romantic love, and a talented, charismatic cast from across the globe, “Crazy Rich Asians” is a swoon-worthy romance, as well as funny and poignant – a feast for the eyes and emotions. “Fresh Off The Boat” star Constance Wu stars as Rachel Chu, a Chinese-American economics professor from Queens, the daughter of a single mom who strove for her slice of the American dream. She’s dating the charming and handsome Nick Young (Henry Golding, in his first major acting role), who wants to bring her home to Singapore for a friend’s wedding, and to meet his family. When the couple arrives at their swanky ultra-luxury first-class seats on their flight, it’s Rachel’s first indication Nick might come from a bit of money. Nick’s the ultimate self-effacing scion of an uber-wealthy dynasty. He avoids the family business, living in New York, borrowing his girlfriend’s Netflix password and playing basketball at the Y. Rachel strives for her own success while Nick shuns the success that’s been thrust upon him. The film whisks us through the different types of wealth and the differences between them: There’s old money (Nick’s family, the Youngs), new money, embodied by the delightfully tacky family of Rachel’s college friend Peik Lin (Awkwafina) and her hilariously outri dad (Ken Jeong), who also live in Singapore, and the American dreamers (Rachel and her mother). Part of the charm of “Crazy Rich Asians” is diving into the culture of the rich and famous on the small island, the gossip and rumor and friendships, and the outlandish displays of wealth that are pure eye candy. But it’s the emotional game-playing that goes on between Rachel and Nick’s circle, including his jealous ex-girlfriend, and most importantly, his staunch mother, Eleanor (Michelle Yeoh), that drives the conflict. Eleanor doesn’t believe Rachel’s casual, fun-loving American demeanor is up to snuff when it comes to the cutthroat (and racist) world in which she and her family had to establish themselves. None of this would work without the love story at the center, and Wu and Golding share a killer chemistry that jumps off the screen. Whether they’re on a double date at one of Singapore’s night markets or making eyes during a wedding ceremony, the on-screen energy between them is palpable. You root for them to make it, despite the cultural obstacles between them, from class to country. Published: Aug. 14, 2018, 3:28 p.m.